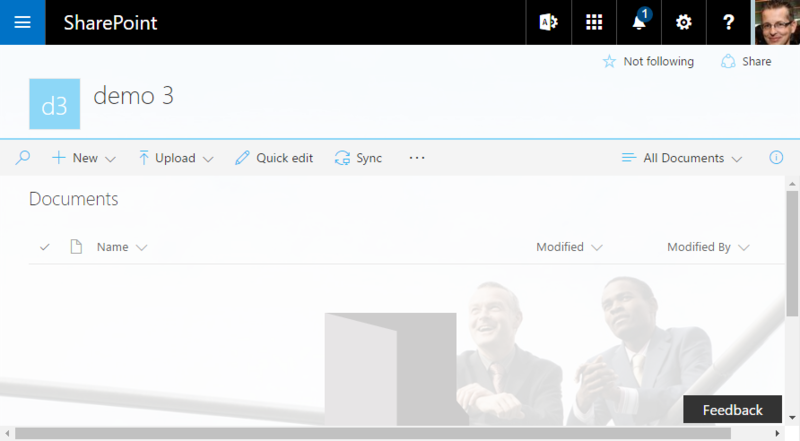 "Modern" document libraries have an updated user interface that offers an experience similar to OneDrive, so it’s more intuitive to create a new folder and upload files in the browser. You can select Pin to top to add documents “above the fold” in any onscreen view. Copying isn’t new, but the copy and move gestures are intelligent about displaying your information architecture and letting you create new folders on the fly. You may not have to make as many copies anymore. 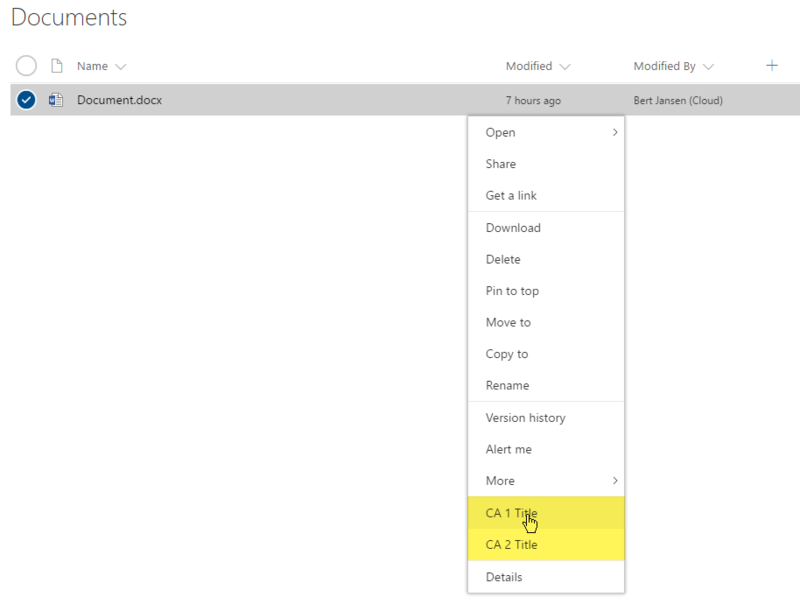 Document libraries are intelligent about remembering other files you’ve been using in SharePoint, so you can import other files from other libraries as links, without having to duplicate files between multiple sites. The new document libraries let you group files directly in the main page without selecting a separate admin screen. You can also drag to change the size of your columns, as well as sort, filter, and group from any column header. Mobile browsers have the same features as the desktop, making SharePoint productive for every user, whether they interact via mouse, keyboard, touch, or screen reader. You can now edit metadata directly from the main view in the information panel. No more clicking into multiple screens to apply an update! Thanks to Office Online integration, you can navigate a complete document preview at the top of the information panel. The panel offers metadata, including the history of recent activity, updates to the file, and who received a share to the file. EditControlBlock Yes, these entries show up as custom menu items. CommandUI.Ribbon Yes, these entries show up as toolbar items. All other locations (for example scriptlink) Sorry, these user custom actions won't work. These custom actions show up in "modern" lists and libraries only when you are on "classic" sites with "modern" UI enabled. By default, they don't show up on "modern" sites because it's not possible to add user custom actions to "modern" sites because they have the NoScript option enabled. However, you can disable NoScript on "modern" sites to achieve the same behavior for "modern" lists and libraries across "classic" and "modern" sites. Adding custom links to the context menu can be done by using the EditControlBlock as the location for your custom action. The following PnP provisioning XML creates two custom entries. If you refresh the "modern" view of a document library on your site, you'll see the new entries appear. If you're trying this on a "modern" team site where you disabled the NoScript option, use the April 2017 or later version from PnP-PowerShell. Alternatively, use the current dev version. If you want to use this sample for a list, set the RegistrationId attribute to 100. If you want to extend the toolbar in the "modern" list and library experiences, you can do so by adding a user custom action targeting the CommandUI.Ribbon location as shown in this PnP provisioning XML sample. After adding these user custom actions, you'll see them appear on the toolbar. Notice that custom tabs are transformed into a drop-down menu. If you're trying this on a "modern" team site where you disabled the NoScript option, use the April 2017 or later version from PnP-PowerShell. Alternatively use the current dev version. If you want to use this sample for a list, set the RegistrationId attributes to 100, and use the following XML for the CA_4 user custom action. You can't completely control the order in which the user custom actions show up; the user custom actions are added in the order the _api/web/Lists(guid'listid')/CustomActionElements returns the user custom actions, and this API currently does not take into account the sequence attributes. Buttons defined inside a custom tab can be ordered by adding them in the correct order in the CommandUIDefinition xml. Our sample shows Button 3 as first and that's because of the order in the XML. Grouping of user custom actions inside a custom tab is driven by the presence of Button elements whenever there's either multiple Tab or Group elements in the returned user custom action element xml. Using the ScriptLink or ScriptBlock properties is not possible because they can only be used with the user custom action location ScriptLink, which is not supported. Using image maps (for example, Image16by16="/_layouts/15/1033/images/formatmap16x16.png?rev=33" Image16by16Left="-144" Image16by16Top="-107") does not work; you'll need to specify individual images. Also note that only 16 x 16 images are relevant. If your site happens to use a custom theme, this custom theme is respected in the "modern" list and library experiences as shown in the following sample. You have multiple options to control whether the "modern" or "classic" library and list experience is used. Check out the Opting out of the modern list and library experience article for more details. When does the built-in auto-detect automatically switch rendering back to "classic"? SharePoint uses an auto-detect system to automatically switch the rendering of a list to "classic", assuming that you do not disable the "modern" experience for your list by using the site, web, or list scoped overrides explained in the previous section. This auto-detect system automatically switches you back to "classic" whenever SharePoint detects that your list is using features that are not (yet) supported in "modern". If the requested list form page has zero or more than one web part on it. (Until July 2017) If the web scoped feature "Metadata Navigation and Filtering" is enabled. We're rolling out managed metadata navigation support for "modern" lists and libraries. There's a non-standard JSLink or XslLink value set for the web part properties. The page is shown in a dialog (IsDlg=1). The list is not based on one of the following types: Document library (101), Picture library (109), webpage library (119), or Generic list (100). As of August 2017, Announcements (104) and Links (103) do render using the "modern" UI. The JSLink property is set on one of the fields to render. One of the fields to render is of type BCS external data, Geolocation, OutcomeChoice, or one of these publishing field types Image, Html, or SummaryLinks. There are list scoped user custom actions that have their ScriptSrc property set. It's a "New" form page for a document library. The fields to render are not any of these supported types: Attachments, TaxonomyField, Boolean, Choice, Currency, DateTime, File, Lookup, MultiChoice, MultiLine except when Append with versioning is on, Number, Text, User, or Url. Programmatically detect if your library/list will be shown using "modern" or "classic"
The PageRenderType property was introduced in January 2017 CSOM release (16.1.6112.1200). The REST call gets you the integer value, which is explained in the following table. We'll gradually introduce more customization options for "modern" list and library experiences. These will be aligned with the release of additional SharePoint Framework capabilities. Currently, there's no exact schedule available, but we'll update the "modern" experience articles whenever new capabilities are released.